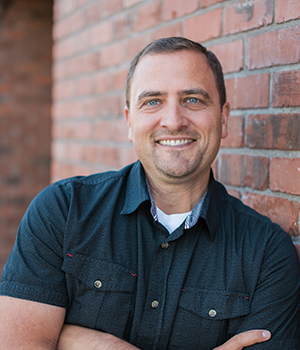 Shane Wittmers is the Chief eXperience Officer at Lifeline. He has worked in a technology role by serving medical to manufacturing companies and everything in between for nearly 20 years. Those years have provided experience in entrepreneurial ownership, B2B sales, technical engineering, talent recruitment, operations management and client success at a variety of levels. He became the first employee for Lifeline in 2004. As the CXO, his primary responsibility is to take care of Lifeline clients at every level to ensure that they are successful and happy. He takes pride in ensuring that all operations and staff are clearly aligned with Lifeline’s values: Communicate, align expectations, exceed expectations, and leave IT better than you found IT. He’s the connection between client and company and is always making sure that communication channels are flowing, and that clients are consistently updated and satisfied. Should there be any gaps, Shane will help identify them and develop solutions to fill them. His passion for a client’s success continues to drive him to ensure that Lifeline is providing world class results for their clients. Outside of the office, he is busy at home with his wife and 5 children. He’s committed to serving our local community and those outside of it. He’s been able to lead the Lifeline staff and their families in a yearly “adoption of families in need” during the holidays to provide food and gifts to them. He’s been involved with Great Strides CFF, Teen Missions International, NCFCA Speech and Debate, Southern Oregon Polar Plunge and many other local events. Serving, connecting and helping people be successful is at the heart of everything that he sets out to do.